For companies looking for entertaining methods for team building and employee appreciation, THEY improv provides a variety of fun approaches for murder mystery dinners in Chicago for a variety of groups and gatherings. THEY have choices that range from using participants in the show to strictly using our cast for client and employee appreciation, holiday gatherings and meetings and incentives awards programs. 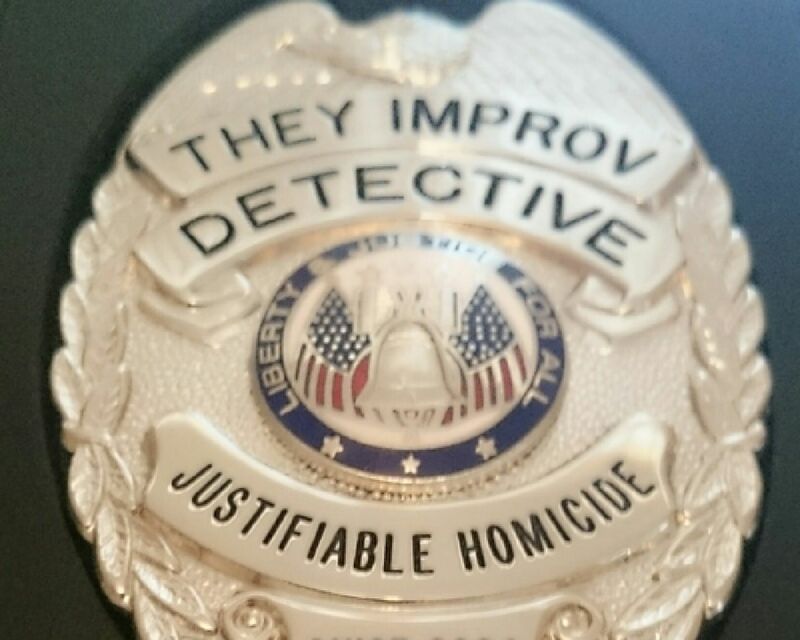 Hire THEY improv for a customized Chicago murder mystery dinner show just for you. 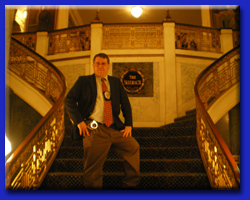 Yes, the perfect way to enhance any corporate event, banquet or private party is a customized Chicago murder mystery dinner show or lunch written just for the group and venue involved. Perfect for corporate events, weddings, family gatherings, dinners, banquets or charity fundraising! Available throughout Chicagoland including Northbrook, Evanston, Buffalo Grove, Deerfield, Winnetka, Highland Park, Schaumburg and even Lake Geneva and Milwaukee. Actors from THEY improv come together and set up a Chicago murder mystery dinner or lunch that the audience helps to solve. Interacting directly with the participants of the event, attendees help examine clues, evaluate witnesses and alibis, choose from a variety of suspects and determine the culprit. Once THEY begin, your audience will meet and talk with the crazy cast of characters, witness a crime and then work to solve the crime, all without Law and Order's crime lab! Laugh along with our professional, but bizarre, crime solver, as audience members help him interrogate suspects and work his way through the winding maze of clues. This often makes audience members shine, which is perfect for meetings and incentives awards gatherings, leaving employees with a sense of being appreciated. Likewise, the scripts can be adjusted to bring your audience members under suspicion. They can be interrogated and engaged in a roast type of environment. They can be found innocent by the audience with them getting applause. If you prefer, we can keep them as key suspects by using information known about their past to dig them deeper into the Chicago murder mystery. THEY improv has been providing top-notch entertainment in the Midwest, and we can do so for your corporate events and private parties. Because each and every show is completely individualized, you will need to contact us directly to receive a quote. While the shows are not inexpensive, they provide a good quality value and are relatively inexpensive when you calculate the added value of having the show customized to your event rather than just a script dusted off a shelf. 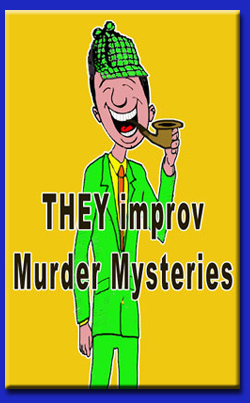 Contact us today to learn about how THEY improv can bring you the Chicago murder mystery dinner show that will have all your friends raving about for years! Are you involved with a charity? Ask about our Justifiable Homicides for charity! THEY improv has raised tens of thousands of dollars for charitable organizations, and THEY can help you. Get more information or for a quote by email at info@THEYimprov.com or by calling (312) 254-9930.